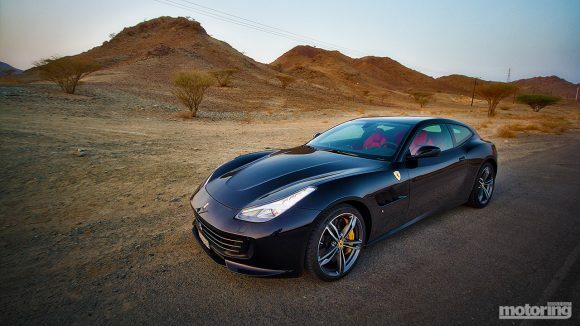 This is the most practical Ferrari till the mooted SUV arrives – and that will likely be based on this platform. It’s been out a couple of years, but this was our first opportunity to do a full review on the car, and we focused a little more on practicality. 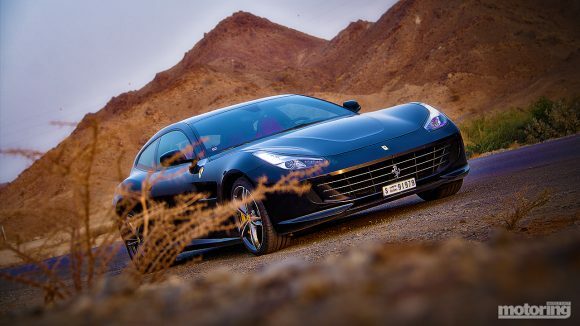 The Ferrari GTC4Lusso replaced the FF, and whilst there’s some similarity in shape, this is an all-new car with new sheet metal, new engines and 16mm more rear legroom. So it’s a full four-seater as I demonstrate in the video above. 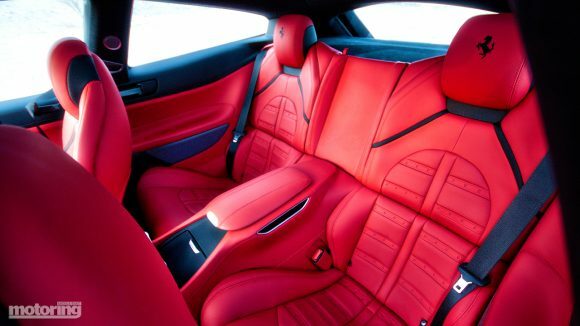 Despite being a competent family mover, it still offers blistering Ferrari performance with a screaming V12, but with grand touring comfort. 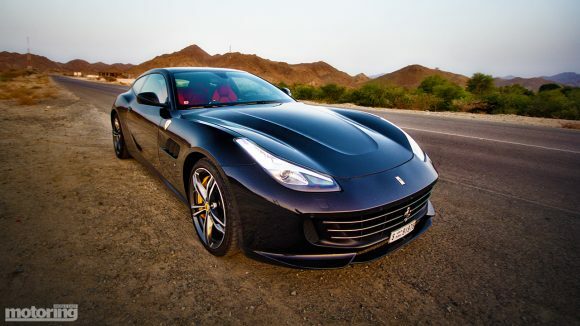 Under that long bonnet is a 6.3 V12 with 681bhp with 514lb ft with all-wheel drive giving a 0-100kph time of 3.4 seconds, and a top speed of 335kph – and 80% of that torque is available from just 1750rpm. In addition to the uprated AWD system there’s also four-wheel steering which is also available on the rear-wheel drive only 3.9 V8 Twin Turbo version. 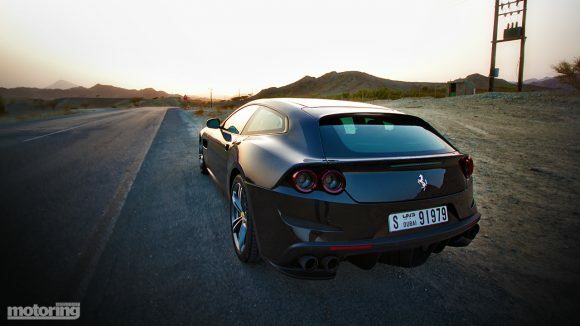 That puts out 602bhp and 561lb ft providing a 0-100 time of 3.5 seconds and 320kph. 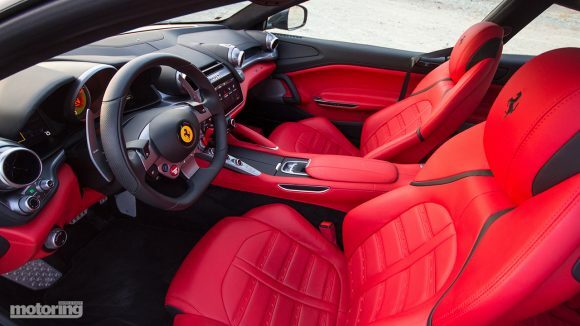 Both come with a 7-speed dual clutch transmission. 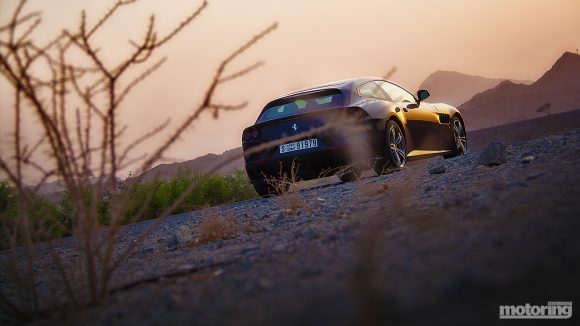 So there’s very little difference in overall performance, so you might think the V8 would be the one to get, but let’s be honest, if you’re going to get a big Ferrari GT, and you’re spending around a million dirhams anyway, then you really might as well get the V12. It’s a screamer too. 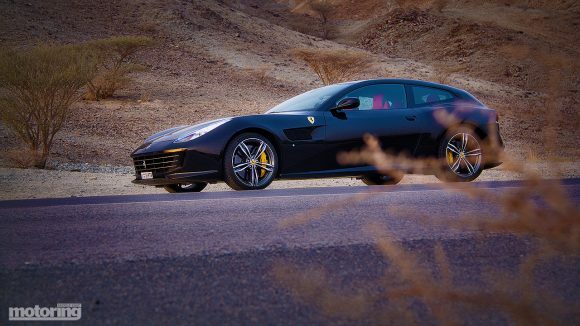 Performance and handling is just as you’d expect it to be. More astonishing is its daily-driveability. It’s surprisingly usable. 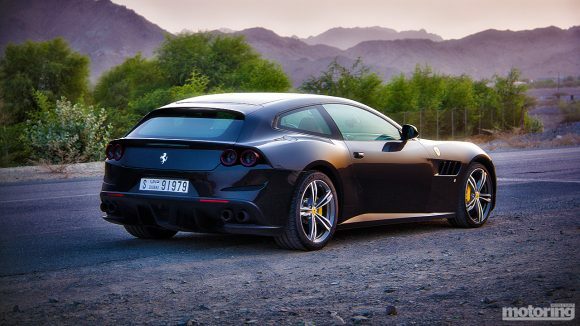 If you want ultimate performance from Ferrari, go for an 812 Superfast, if you want ultimate handling go for a 488 but if you want ultimate practicality go for the GTC4Lusso.